Sizes: Age 3/4 22/25" Age 5/6 25/28" Age 7/8 28/30" Age 9/10 30/32" Age 11/12 32/34"
The popular Russell 8700M in a children's verison. 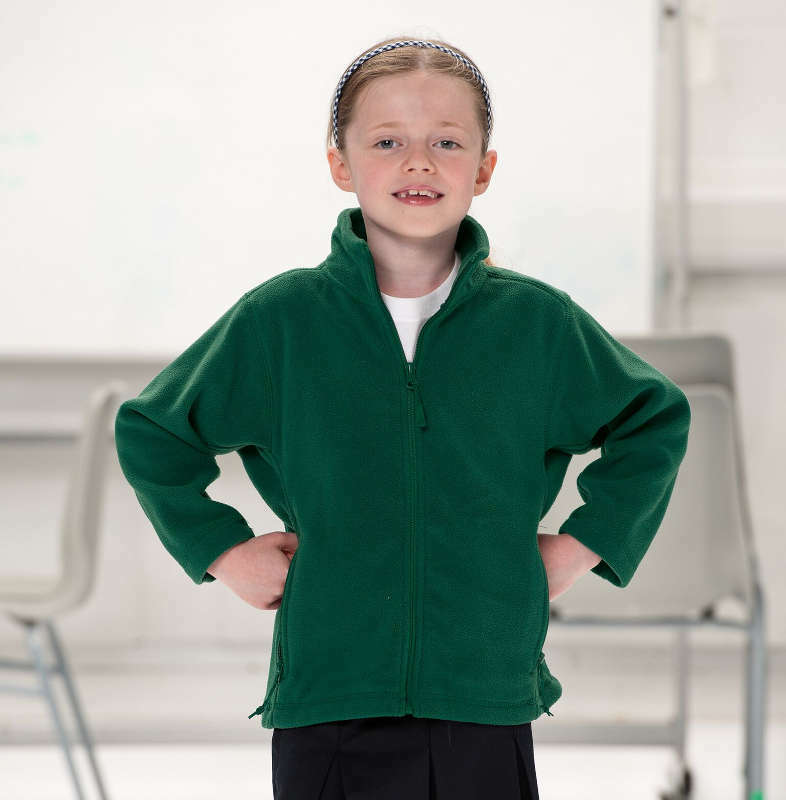 Superb quality anti pill fleece that is perfect for embroidery. Due to the nature of fleece material, we are unable to use screen or heat transfer print. Dense, compact pile for improved wearer warmth and a smoother surface for ease of decoration. Side pockets with inner mesh lining, panelled construction and cord pulls.